The domain name Toptile.com was registered in 2003; fifteen years later, it’s lost via the UDRP process at the WIPO. The Complainants are Halstead C&W Corporation of Norwalk, Connecticut, and Tower IPCO Company Limited of Dublin, Ireland. The TOPTILE mark was registered in multiple classes between 2015 and 2018, and yet the 2003 domain registration was challenged based on the Complainants’ allegations that it was first used in a 1992 product line, that was eventually phased out. 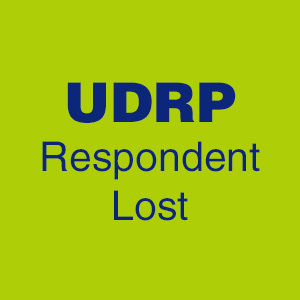 As far as we can tell from the UDRP decision’s particulars, these allegations could have been disputed by the Respondent, but unfortunately for them, they did not respond. The domain was listed for sale at Sedo with a $2,200 dollar price tag. John Swinson, sole panelist, pointed out the appearance of related PPC ads on the domain, while accepting the Complainant’s position that the Respondent is not the original registrant of the domain. Final decision: transfer the domain Toptile.com to the Complainant; full details follow. The Complainant is Halstead C&W Corporation of Norwalk, Connecticut, United States of America (“United States”) and Tower IPCO Company Limited of Dublin, Ireland, represented by Troutman Sanders, LLP, United States. The Respondent is Kevin Sarrafi of Calgary, Alberta, Canada. The disputed domain name <toptile.com> (the “Disputed Domain Name”) is registered with GoDaddy.com, LLC (the “Registrar”). The Complaint was filed with the WIPO Arbitration and Mediation Center (the “Center”) on April 23, 2018. On April 24, 2018, the Center transmitted by email to the Registrar a request for registrar verification in connection with the Disputed Domain Name. On April 25, 2018, the Registrar transmitted by email to the Center its verification response confirming that the Respondent is listed as the registrant and providing the contact details. In response to a request for clarification by the Center, the Complainant submitted an amended Complaint on May 1, 2018. In accordance with the Rules, paragraphs 2 and 4, the Center formally notified the Respondent of the Complaint, and the proceedings commenced on May 11, 2018. In accordance with the Rules, paragraph 5, the due date for Response was May 31, 2018. The Respondent did not submit any response. Accordingly, the Center notified the Respondent’s default on June 1, 2018. The Center appointed John Swinson as the sole panelist in this matter on June 8, 2018. The Panel finds that it was properly constituted. The Panel has submitted the Statement of Acceptance and Declaration of Impartiality and Independence, as required by the Center to ensure compliance with the Rules, paragraph 7. The Complainants are Halstead C&W Corporation of the United States and Tower IPCO Company of Ireland. According to the Complaint, the Complainants are “sister companies” within the Halstead International Group of Companies, which is a family of companies offering for sale a variety of building materials. Of particular relevance to this Complaint is the Complainants’ range of ceiling material products offered under the brand TOPTILE. According to the Complaint, an entity related to the Complainants first launched TOPTILE branded products in 1992. That product line was phased out over the years, but the Complainants recommenced sale of TOPTILE products and use of the TOPTILE brand as early as 2012 in Canada and the United States. The Respondent is Kevin Sarrafi, an individual of Canada. The Respondent did not file a Response, and consequently little information is known about the Respondent. The Disputed Domain Name was registered on June 12, 2003. The Complainants submit that the Respondent acquired the Disputed Domain Name between January 15, 2015 and April 6, 2015. In support of this, the Complainants have provided historical WhoIs records showing that the registrant of the Disputed Domain Name changed from a privacy service to the Respondent, as well as a change in registrar around this time. The website at the Disputed Domain Name features pay-per-click (“PPC”) links relating to tiling and other building materials, and renovations. The Complainants make the following contentions. The Trade Mark is a coined, registered brand with no dictionary definition. The Disputed Domain Name is confusingly similar to the Trade Mark as the Disputed Domain Name incorporates the Trade Mark in its entirety. The Trade Mark is the dominant and distinctive element of the Disputed Domain Name. The Respondent acquired the Disputed Domain Name years after the Complainants registered and began using the Trade Mark. The Respondent is not a licensee of the Complainants. The Complainants have not otherwise authorized the Respondent to use the Trade Mark for any purpose. The Respondent is not commonly known by the Disputed Domain Name or the Trade Mark. As such, the Respondent has no rights or legitimate interests in the Disputed Domain Name. The Respondent does not use, and has not made demonstrable preparations to use, the Disputed Domain Name in connection with a bona fide offering of goods or services. The Disputed Domain Name currently resolves to a parking page containing PPC links relating to building materials which divert Internet traffic to websites which compete with those of the Complainants. There is no legitimate basis for the Respondent’s registration or use of the Disputed Domain Name which is identical to the Trade Mark. The Respondent’s registration of the Disputed Domain Name evidences bad faith. The Respondent knowingly registered the Disputed Domain Name, which is identical to the Trade Mark. The Respondent is using the Disputed Domain Name to redirect Internet users to PPC links from which the Respondent presumably receives click-through revenue. This constitutes bad faith registration and use of the Disputed Domain Name under paragraph 4(b)(iv) of the Policy. The onus of proving these elements remains on the Complainants even though the Respondent has not filed a Response. The Respondent’s failure to file a Response does not automatically result in a decision in favor of the Complainants (see, e.g., Airbus SAS, Airbus Operations GmbH v. Alesini Pablo Hernan / PrivacyProtect.org, WIPO Case No. D2013-2059). However, the Panel may draw appropriate inferences from the Respondent’s default. The Complaint is filed jointly by Halstead C&W Corporation and Tower IPCO Company. Previous panels have permitted a single complaint where the complainants have a “common grievance” against the respondent, as long as it is equitable and procedurally efficient to do so (Fulham Football Club (1987) Limited, Tottenham Hostpur Public Limited, West Ham United Football Club PLC, Manchester United Limited, The Liverpool Football Club And Athletic Grounds Limited v. Domains by Proxy, Inc. / Official Tickets Ltd, WIPO Case No. D2009-0331). The Panel accepts that Halstead C&W Corporation and Tower IPCO Company have common legal interests in the Trade Mark, as they each own Trade Mark registrations in different jurisdictions. As such, the Panel permits both parties to be joint Complainants in this dispute. If successful, the Complainants have requested a transfer of the Disputed Domain Name. However, this bears the question: to which of the Complainants should the Disputed Domain Name be transferred? Previous panels have stated that, in a case brought by multiple complainants where only one of the complainants has a legal entitlement to the trade mark on which the complaint is based, the panel should order that the relevant domain name is transferred to that complainant (see, e.g., The Avenue, Inc. and United Retail Incorporated v. Chris Guirguis doing business as Lighthouse Web Design and/or Cannibal, and Sam Guirguis, WIPO Case No. D2000-0013). But what if more than one complainant has a legal entitlement to the trade mark on which the complaint is based? Only one complainant can receive the transfer of the relevant domain name. In this case, both Halstead C&W Corporation and Tower IPCO Company have a legal entitlement to the Trade Mark on which this Complaint is based. Unhelpfully, the Complaint does not specify to which of the Complainants the Disputed Domain Name should be transferred if the Complaint is successful. As such, if the Complaint is successful, the Panel will order that the Disputed Domain Name is to be transferred to one of the Complainants, and the Complainants should advise the Registrar which of them will receive the transfer. Paragraph 4(a)(i) of the Policy provides that the Complainants must establish that the Disputed Domain Name is identical or confusingly similar to the Trade Mark. The Disputed Domain Name is identical to the Trade Mark. The Disputed Domain Name incorporates the Trade Mark in its entirety, with no additional terms. The Complainants succeed on the first element of the Policy. Paragraph 4(a)(ii) of the Policy provides that the Complainants must establish that the Respondent has no rights or legitimate interests in respect of the Disputed Domain Name. The Complainants are required to make out a prima facie case showing that the Respondent lacks rights or legitimate interests. – The Panel accepts the Complainants’ submission that the Respondent is not a licensee of the Complainants, and is not otherwise authorized by the Complainants to use the Disputed Domain Name. – There is no evidence that the Respondent has been commonly known by the Disputed Domain Name or the Trade Mark, or has registered or common law trade mark rights in relation to the Disputed Domain Name. – The Respondent has not used, or made demonstrable preparations to use, the Disputed Domain Name in connection with a bona fide offering of goods or services. The website at the Disputed Domain Name features a PPC link page. These links relate to tiling and building materials, and direct Internet users to other businesses which operate in the Complainants’ industry. In the circumstances, this is not a bona fide use of the Disputed Domain Name under the Policy. – The Respondent has not been making a legitimate noncommercial or fair use of the Disputed Domain Names without intent for commercial gain. As submitted by the Complainants, it is likely that the Respondent is profiting from the PPC advertising on the website at the Disputed Domain Name. The Respondent had the opportunity to demonstrate his rights or legitimate interests, but did not do so. In the absence of a Response from the Respondent, the prima facie case established by the Complainants has not been rebutted. In light of the above, the Complainants succeed on the second element of the Policy. Paragraph 4(a)(iii) of the Policy provides that the Complainants must establish that the Respondent has registered and is using the Disputed Domain Name in bad faith. While the creation date of the Disputed Domain Name is June 12, 2003, the Panel accepts the Complainants’ submission that the Respondent acquired the Disputed Domain Name at some point between January 15, 2015 and April 6, 2015. This is approximately 3 years after the Complainants’ claimed first use of the Trade Mark and 2 years after the Trade Mark registration was filed in Canada. Given that the Disputed Domain Name is identical to the Trade Mark, the Panel considers it probable that the Respondent had knowledge of both the Complainants and the Trade Mark at the time he acquired the Disputed Domain Name. The Panel can reasonably infer that the Respondent sought to make use of the reputation of the Complainants and registered the Disputed Domain Name in bad faith. This conclusion is reinforced by the content of the website at the Disputed Domain Name, being PPC links relating to the industry in which the Complainants operate. The Panel considers that the Respondent is intentionally attempting to attract, for commercial gain, Internet users to his website by creating a likelihood of confusion with the Trade Mark as to the source, sponsorship, affiliation, or endorsement of his website or of a product or service on his website. This is an indicator of bad faith under paragraph 4(b)(iv) of the Policy. In light of the above, and in the absence of a Response and any evidence rebutting bad faith registration and use, the Panel finds that the Complainants have succeeded on the third element of the Policy. For the foregoing reasons, in accordance with paragraphs 4(i) of the Policy and 15 of the Rules, the Panel orders that the Disputed Domain Name, <toptile.com>, be transferred to one of the Complainants, the choice of which to be submitted by the Complainants to the Registrar.